Italy, Sorrento Holidays House sits in the promontory over looking the sea and the towns of Sant'Agnello and Piano di Sorrento. 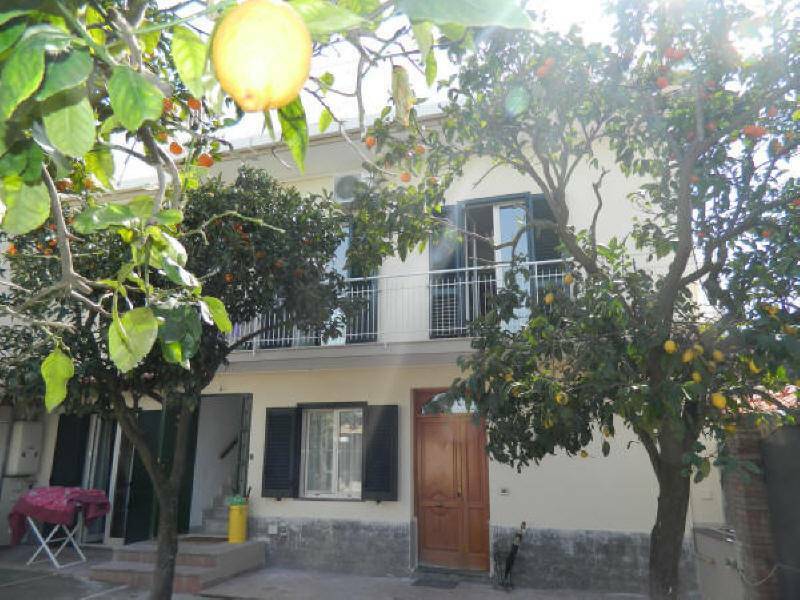 Situated in an enchanting lemons and oranges garden, Sorrento Holidays House offers an exceptional vista of the sea and coastline. 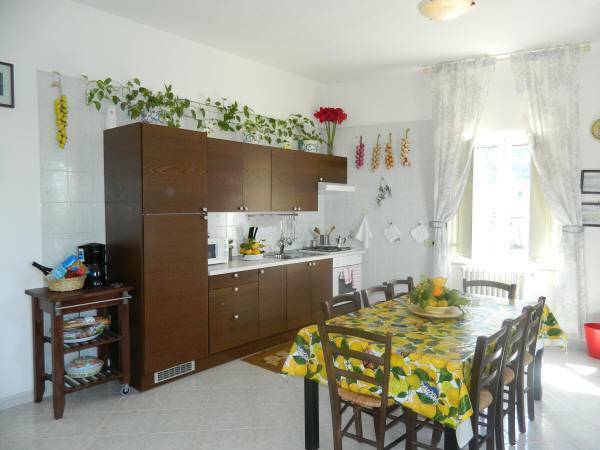 The House is composed of a fully equipped modern kitchen, 3 double or triple bedrooms, a living area with double sofa bed, and 2 bathroom with shower or tub. All furnishings are tasteful and modern. There is an exclusive large sun terrace sea view of 70 sq mt with shower equipped with sun beds and sun umbrellas. The house is rented on a weekly basis from Saturday 4pm to Saturday 10am but we have flexibility if arranged at time of booking. 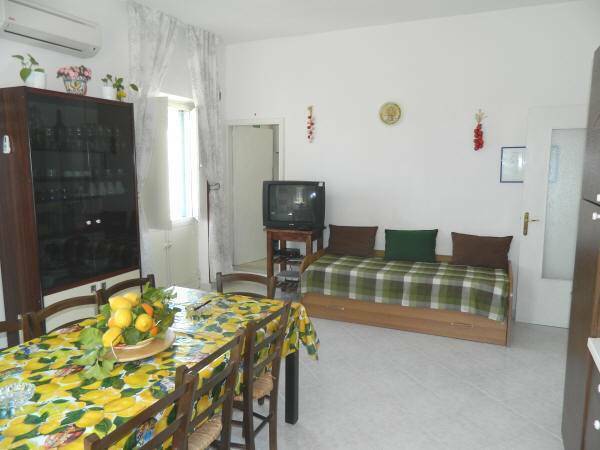 The House is suitable up to 13 guests and are finest furnished. The House is composed of a fully equipped modern kitchen, 3 large bedrooms, a living area with double sofa bed, and 2 bathroom with shower or tub. All furnishings are tasteful and modern. There is an exclusive large sun terrace sea view of 70 sq mt with shower equipped with sun beds and sun umbrellas. Ideal situation for excursions along the Sorrento & Amalfi Coast, Capri, Ischia, Pompei, Vesuvio. Sorrento Holidays House is a villa of 19th located in Sant'Agnello, in the heart of Sorrento Coast, just 2 km away from Sorrento historical centre. 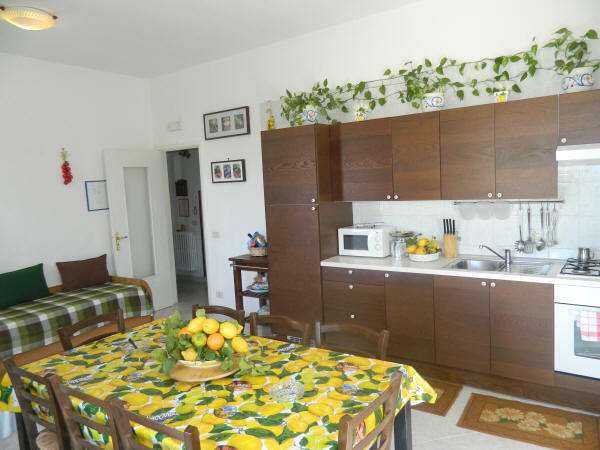 The location makes Sorrento Holidays House the ideal place for a relaxing holiday, quiet and peaceful close. 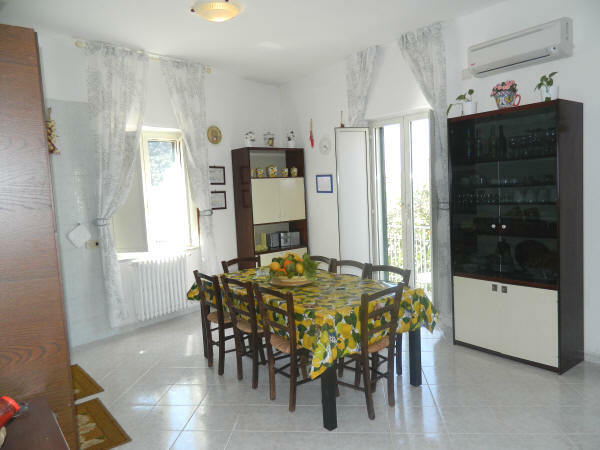 Only 5 minutes from Sant'Agnello Downtown, the House has easy access to all amenities, including the local market for bargain hunting, and many excellent restaurants for eating out. 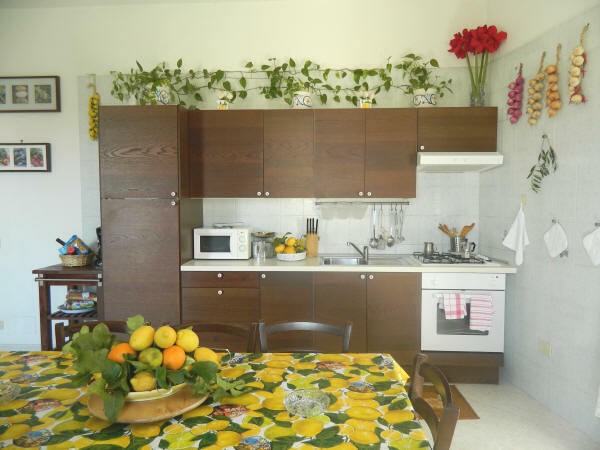 The property is situated to around 2 km from the center of Sorrento (Sant'Agnello) in the promontory over looking the sea and the towns of Sant'Agnello and Piano di Sorrento. After taking the A2 Roma-Napoli, follow the signs to the Pensisola Sorrentina after taking the A3 Salerno-Reggio Calabria. Arrive at the Stazione Centrale di Napoli Piazza Garibaldi. On the basement floor take the Circumvesuviana to Sorrento. The journey takes about 1 hour. From Naples Airport you can reach us by using the Curreri bus service, destination Sant'Agnello square, you can ask us about our Driver Transport service, directly from Naples Airport.